A cool spring weekend is on tap, with a sunny Saturday and a windy, rain Sunday. 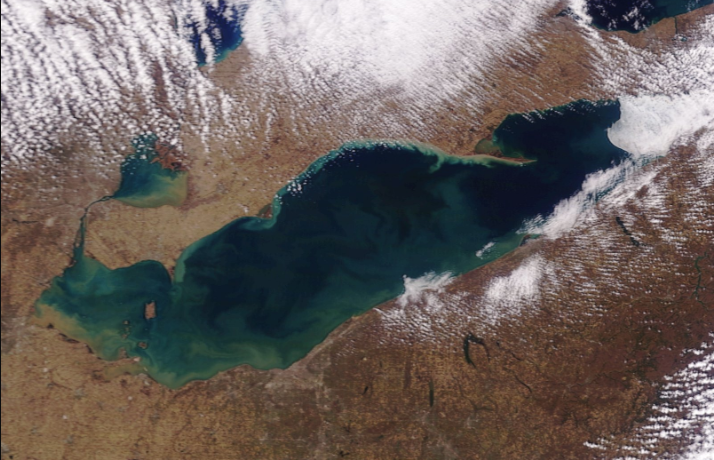 The Lake Erie temperature is is 41 off Toledo and 39 off Cleveland. Friday: South-southeast wind 17 to 22 knots becoming southwest in the afternoon. Winds could gust as high as 30 knots. Showers and thunderstorms before 2 p.m., then showers likely and possibly a thunderstorm between 2 p.m. and 4 p.m., then a chance of showers and thunderstorms after 4 p.m. Waves 2 to 3 feet. High of 62. Friday night: Southwest wind 11 to 16 knots. A slight chance of showers before 7 p.m. Waves 2 to 3 feet. Low of 46. Saturday: West-southwest wind 10 to 12 knots. Sunny. Waves around 2 feet. High of 54. Saturday night: West wind around 10 knots becoming north-northeast after midnight. A chance of showers after 2 a.m. Waves around 2 feet. Low of 41. Sunday: East wind 12 to 17 knots, with gusts as high as 23 knots. Showers, mainly after 8 a.m. Waves 2 to 3 feet. High of 52.